Australians love to live outdoors, and having an inviting outdoor space is the holy grail of the Australian property dream. With inner city homes being converted into units, and developments replacing large suburban blocks, courtyards and terraces are fast becoming the new backyards. Space is a commodity, so versatility and an effective use of area are paramount. Here are the four most important elements to achieving a versatile outdoor living area. The harsh Australian sun can be both a blessing and a curse; detested during the summer months, and praised in winter. Australian architects and builders not only need to consider the orientation of your home and outdoor living spaces, but also the height of the sun at different times of the year, as well as the harsh UV rays unique to Australia. Due to these factors, a versatile outdoor living space should be one with an adjustable sunshade or roofing system, rather than fixed to suit only one season of the year. In summer the sun is much higher in the sky, so installing a sunshade, sail, or garden umbrella can help block out the harsh rays. In winter when the sun is lower in the sky, this shade needs to either be adjustable or removable to allow for the warm sunshine to heat up your outdoor living space. Fixed roofing with adjustable louvers, a retractable awning, or patio are more permanent options that could work for you. If you’re one of the 68% of Australians living in major cities, chances are your outdoor space is limited. This means to get the most out of your space, you need to consider how you’re going to use it. If you entertain often, perhaps an outdoor dining area is most attractive to you. If you have a family, a space for the kids to play, or an area to relax may be more suitable. When planning your space, consider what you really need and want, and then think about the floor space and orientation. Chances are there is a way to maximise the space with versatile furniture and fittings. Built-in and foldaway furniture are good investments when trying to get two spaces out of one. Think a built-in bench seat that doubles as a lounge and dining table seating, or a foldaway table and chairs to make way for a children’s play area. Outdoor areas usually come with a few extra bits and bobs; throw cushions, foldaway furniture, a shade umbrella or washing line. And if you live in an urban area, storage is something that never goes astray. When designing your outdoor space look up, to courtyard walls, fences and ceilings. Too often vertical space is forgotten, leaving a huge amount of space unused. Walls and fences can be fitted with shelves, a collapsible washing line, or even built-in-cupboards disguised by a hanging garden. Ceilings can be used to hang pots, leaving the ground space below free for furniture and storage. One of the best ways to make storage in your courtyard or terrace is to use furniture that doubles as storage space, such as bench seats with a storage box underneath, or a table with cupboards below. And if you’re building a raised deck, use the area beneath to store bikes, tools or garden furniture. Ventilating small urban spaces can be tricky, but is essential for long, hot Australian summers. Open terraces and balconies are the easiest to ventilate for obvious reasons, however enclosed courtyards or suburban gardens can be more difficult. If you’re building a new home or renovating, talk to your architect about channels of ventilation to the outdoor area. This can be achieved via corridors of space beside a home, or leaving channels of ventilation between trees and hedges. Research the direction of cross breezes to ensure you avoid planting large hedges, or inserting protective walls that may block the breeze to your space. It is also important to look at these breezes when choosing a shade cover or patio, ensuring there is sufficient air flow into the space. Properly ventilating your space is important for cooling it down after a hot summer’s day, and for allowing fresh air to regularly enter your home. An ideal outdoor living space is one we can use year round, despite the weather. Depending on your location, the requirements for will vary, from solid roofing for the wet season in northern Australia, to outdoor heating for the cooler months down south. 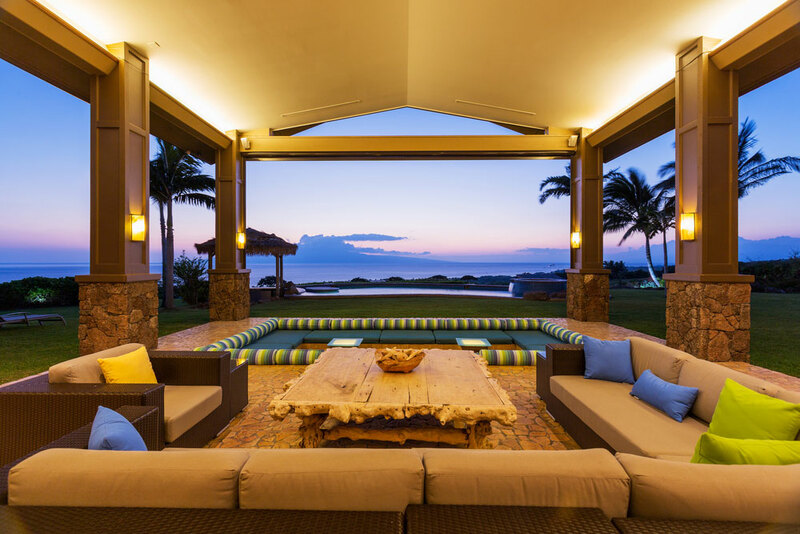 These basic elements for building an outdoor living space are a starting point that may work alone in many climates, or added onto to suit your location. Australians love a life lived outdoors, so creating an inviting outdoor living space for your home is a smart option, whether you have a young family, entertain regularly, or simply want an extra space for relaxing at home. If you’re in the market to sell your home, upgrading your outdoor living room will add value, space and appeal to your home too. So what are you waiting for? It’s time to get planning. For information about patios, awnings, pergolas, sunrooms or outdoor blinds, take a look at Wizard Home Improvements, Sydney’s leading outdoor room specialist. Written by Kevin Pobjie, Managing Director of Wizard Home Improvements.